Worlds of Fun is Fun for Everyone. First and foremost, Worlds of Fun is about fun. Fun for everyone. Here you'll find everything you need to know about navigating and enjoying the park and all of its experiences for those with disabililities. And if you can't find the answers here, simply stop by any of our Guest Services areas at the front gate or throughout the park and grab a copy of our Guest Assistance Guide. At Worlds of Fun we are proud of our reputation for accommodating guests with disabilities through our Ride Admission Policy. We have developed a Boarding Pass Program which allows guests with mobility restrictions or Autism Spectrum Disorder (ASD) to access rides at specified times via the exit ramp in order to avoid crowds and waiting in the regular queue lines. For a complete listing of guidelines when using the Alternate Access entrances, please stop by a Guest Services location for a copy of our Guest Assistance Guide. You may be asking yourself if Worlds of Fun is appropriate for guests with an autism spectrum disorder (ASD) or whether your loved one on the spectrum will be able to handle the theme park experience. Worlds of Fun has taken steps to be well-prepared to welcome and provide accommodations for all types of people, including autism and related disorders. To continue to provide equal access for all guests, be aware that all guests with mobility impairments or ASD will now receive a Ride Boarding Pass with wait times. Please review the Boarding Pass Program for more details. As you know, advance planning is a requirement for a successful theme park visit with a person with ASD. Your visit to Worlds of Fun will include a plethora of sensory stimulations including crowds, dark and loud theatres, coasters traveling overhead, lights and noises, and waiting in lines, to mention just a few. At Worlds of Fun, we strive to provide an equal experience for all guests, while providing a variety of options tailored to specific needs. Our staff is eager and ready to assist you. You can find information on our rides, shows and attractions in advance in the Play section of this website. Feel free to contact the Guest Assistance Center in advance at (816) 454-4545 with any additional questions. During your visit, Guest Services can provide a Guest Assistance Guide that outlines specifics about each attraction, including height requirements and health restrictions. When you arrive at the park, please proceed to one of our Guest Services buildings located at the main entrances. 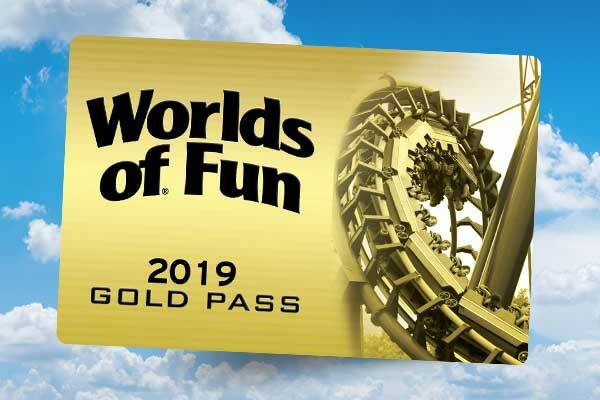 Depending on the needs of your group, a boarding pass may be issued that will allow you to get scheduled ride times on the attractions you would like to participate in. At Worlds of Fun/Oceans of Fun we offer KidTrack, a wristband program, which will assist you and park personnel in reuniting your group should you become separated. We also offer Rider Swap. This allows one parent to ride while another parent waits with the child. When the ride is complete, the parents can swap child responsibility at the exit. Additionally, if you need to rent a stroller, wheelchair, or locker you can proceed to the Rentals stand located just inside the main gates. Please revisit Guest Services if you need any further additional help with your day. We also recommend that as an added safety measure you take a photo of members of your party, (especially if you have a member in your party who tends to dart away or wonder off) on your mobile device. This photo can be great assistance to quickly reunite your party if separated. Guests who wear headphones of any type will not be able to wear them while riding our attractions. We have disposable ear protection you can pick up at Guest Services. If you’re separated during your visit please contact any park employee for assistance. Please remember for the safety of our guests, any guest who appears hysterical or too frightened to ride will not be allowed to ride at that time. That decision will be made by the ride attendant at each attraction. Ride delays may occur while riding and members of your party may be required to sit calmly until the ride is restarted or guests are escorted off the ride. Please be aware if an evacuation of an attraction is required, guests may need to maneuver along catwalks from the highest point of the ride and down steeply inclined steps. If you have any doubts whatsoever about an attraction’s appropriateness for the individual with ASD, please have someone in your party ride first to make an informed determination. 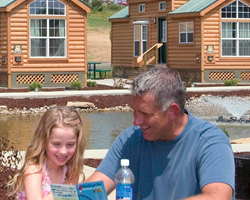 Worlds of Fun offers our guests several restful locations that your party can access during the day. The park has a first aid station located opposite the Timberwolf entrance at Worlds of Fun, a second first aid station located adjacent to Surf City Wave Pool in Oceans of Fun, Family Care Center located in Planet Snoopy and Guest Services located at the Worlds of Fun Front Gate. Additionally, air conditioned restaurants provide a nice break from sensory stimulation. Worlds of Fun is a wonderful destination for families and friends to visit. Our goal is to make your experience both smooth and full of family fun. 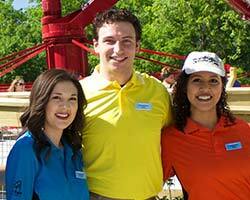 Please let us know if you have any further questions by calling our Guest Assistance Center at (816) 454-4545, or by talking to a member of Guest Services at the park. Worlds of Fun and Oceans of Fun work hard to be as enjoyable and barrier free as practical. We offer several services to accommodate as many guests as possible. If the information you seek is not provided below, please contact us via our online comment form or by calling our Guest Assistance Center at (816) 454-4545. Many rides at Worlds of Fun and Oceans of Fun are dynamic and thrilling. There are inherent risks in riding any amusement ride. For your protection, each ride is rated for its special features, such as high speed, steep drops, sharp turns or other dynamic forces. If you choose to ride, you accept all of these risks. Restrictions for guests of extreme size (height or weight) are posted at certain rides. Guests with disabilities should refer to our Ride Admission Policy available at Guest Relations. Participate responsibly. You should be in good health to ride safely. You know your physical conditions and limitations, Worlds of Fun & Oceans of Fun do not. If you suspect your health could be at risk for any reason, or you could aggravate a preexisting condition of any kind, DO NOT RIDE! Guests with casts and braces will be restricted from riding rides where the cast or brace will not fit inside the ride unit or where it will present a hazard to the guest or others. Guests with full arm (elbow restricted) and full leg (knee restricted) casts or braces are restricted from MOST rides at Worlds of Fun and most slides at Oceans of Fun. Guests with a cast should visit Guest Services prior to entering the park for more information. All casts are prohibited on Patriot, Prowler, and Timber Wolf. Worlds of Fun does allow guest to bring their own wheelchairs into the park. Worlds of Fun has a limited supply of manual and electric wheelchairs available for rent. ECV’s (electric) can only be rented and picked-up at the Worlds of Fun Rental Center near the Worlds of Fun Front Gate. Wheelchairs can be accommodated in all restaurants, gift shops, theaters, games, arcades and restrooms. 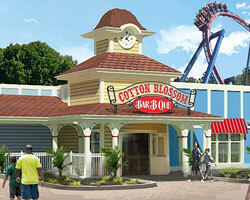 All restrooms in Worlds of Fun and Oceans of Fun are designed for access by guests with disabilities. All restrooms in both parks are wheelchair accessible excluding the Planet Snoopy restroom and the Boomerang restroom. Parking for guests with disabled placards is located in parking lots B and H at Worlds of Fun and in the lower level parking lot at Oceans of Fun. Please ask attendant at Toll Plaza for directions. Guests with any type of prosthesis should not ride Detonator, Patriot, SteelHawk or Kite Eating Tree unless they can ensure the device is properly secured and will remain in place during the ride. If there is any concern of the prosthesis becoming dislodged during the ride, guests should visit the Guest Services Office at the park entrance for assistance. All leg prosthetics are prohibited on Patriot per the manufacturer. Due to the dynamics of our rides, oxygen tanks may be restricted. Please stop by Guest Services to identify any rides that may allow your tank. Oxygen tanks may be taken into all food, merchandise, or entertainment buildings. For detailed information about services and the requirements for each attraction, please visit Guest Services for a copy of our Guest Assistance Guide. Service animals are always welcome at Worlds of Fun and Oceans of Fun. A service animal is defined as a dog or miniature pony that has been individually trained to perform tasks for a person with disabilities. All service animals must be controlled with a restraint or leash at all times during your visit to Worlds of Fun and Oceans of Fun. Upon your arrival to the park you may check in at Guest Services as only one service animal per guest is permitted and you may be asked what tasks your service animal has been trained to do. Due to the nature of most rides, service animals must remain with a non-riding member of your party throughout your day at the park as Worlds of Fun associates are not permitted to take control of a service animal. Service animals are not permitted in water attractions, wet decks, wading pools, or lazy rivers. For your convenience, a service animal relief area is located next to the Prowler Photo shop. We look forward to seeing you at the park soon!